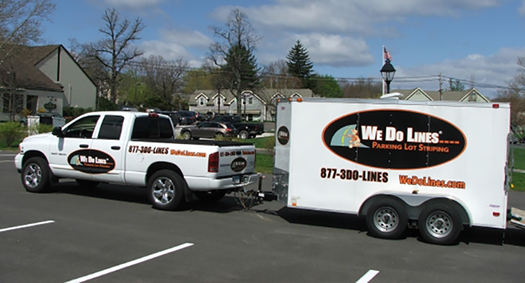 We Do Lines is America’s premier parking lot line striping and more company! We have leveraged over 100 combined years of business experience across many industries and applied it to the formation of We Do Lines. Through the creation of an unforgettable and aggressive brand, proven systems, proprietary technology, and an unwavering commitment to complete customer satisfaction; WDL has successfully raised the bar in the industry! We strive to think “Outside the Lines” and pride ourselves on our ability to truly understand and solve our client’s challenges. Our work has displayed unsurpassed quality, professionalism, and accountability throughout the United States. We aim to continue this trend and it is our sincere hope to show you the We Do Lines Advantage.